In 1906 the citizens of Tyner felt the need for a high school in their community since Chattanooga High School was the nearest one and transportation was sometimes difficult. W. H. Varnell one of the leading citizens of Tyner, wrote to each of the seven members of the Hamilton County School Board telling of the great need for a high school and stating that the community would donate a site for the erection of the building. The board decided to erect a school at Tyner, and the land for the building, purchased by the citizens from J. R. Smith for the sum of $250, was donated. W. S. Beck, chairman of the Hamilton County School Board at the time, was very helpful in securing a $10,000 appropriation from the County Court for the building. Some of the leaders in this historic movement were Dr. T. N. Elben, T. J. Friar, T. D. Hawley, B. M. Tankersley, J. P. Smith, L. S. Roberson, Prof. S. H. Moran, J. E. Conner, Loss Friar, Gabe Walder, and J. T. Cooper. On November 26, 1907, the citizens of Tyner gathered to dedicate the new structure. The devotion was led by Reverend Farris, of the Tyner Methodist Church, and Dr. P. P. Claxton, from the University of Tennessee, delivered the dedicatory address. About 200 citizens of Tyner, mostly farmers, served a dinner on the grounds at the conclusion of the ceremony. When school opened in the fall of 1907, it boasted an enrollment of 38; but by the end of the term the enrollment had increased to 59. 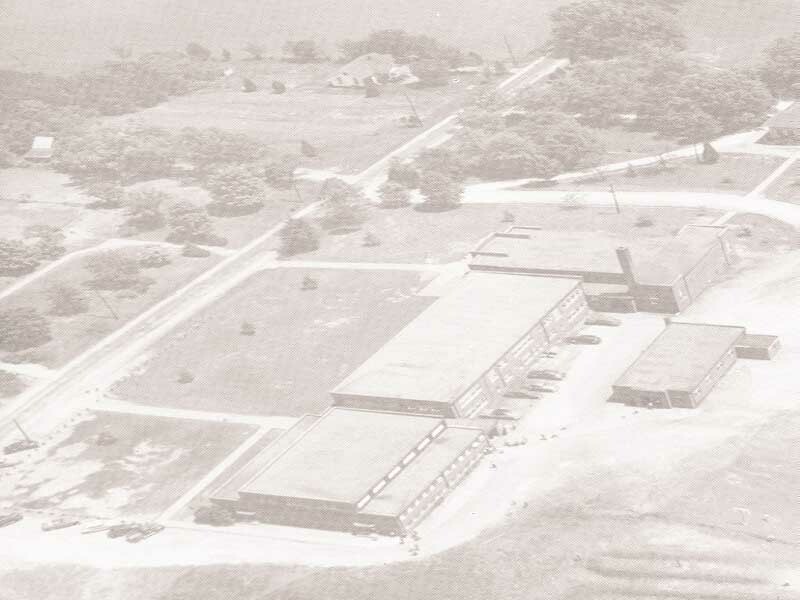 Tyner was organized as a four-year high school, but in 1932 the seventh and eighth grades were added. A separate building was erected for the two lower grades. As the enrollment continued to increase, the need for additional facilities was met in 1937 with the erection of the present main building. In 1954 another structure was erected adjacent to the main building. In it are quarters for music, science, and industrial arts classes, and an enlarged cafeteria. At the present, two new buildings are under construction, a home economics building and a new complete junior high school. This year 1957, Tyner suffered a great loss when “Old Main” the first building constructed in 1907 burned. The new junior high school is being erected on the site where “Old Main” stood and will be an entirely separate plant from the high school. The campus has grown from the small ten-acre tract in 1906 to thirty-four acres at the present time. The enrollment has grown from 38 during the first term to 1060 at the beginning of the 1956-57 term. The administration has enlarged from a principal and one teacher to a principal, thirty-seven teachers, two secretaries, two custodians, a cafeteria staff of eight, twelve bus drivers, and a school nurse. In the first years the school offered ten subjects. Now in the program of studies for grades 9 through 12, a total of 42 ½ high school units are offered in 14 subject fields. As we go to press, steel girders rise where once stood “Old Main”; thus old customs, old ideas, and old buildings give way to new, as we look back on this past 50 years of Tyner history. From 1957 Tyner High School Year Book, "The Tally-Ho"